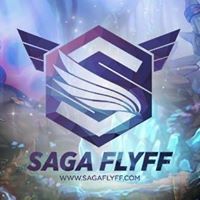 Saga FlyFF is a FlyFF Private Server that is built here in the Philippines. It's a Mid Rate Server that offers a really fast gaming pace experience. If you have some questions, feel free to ask the forum administrator. I'll kick things off here in the introductions. So I'm Admin Azria, one of the only two admins in-game, I'm quite old haha, just graduated and now working but still into FlyFF so yea haha.